I was scratching my head one day in the wake Instagram’s Billion (with a “B”) dollar buyout. I began reconsidering my career path and whether I should have been a programmer and UI developer instead of a mechanical engineer. I’m sure many people were thinking the same thing. Any rock you turn over these days seems to have a mess of ambitious social media start ups crawling around under it. Of course, not everyone can be successful, and with the way the internet allows things to scale, the gap between the successful and unsuccessful has grown ever larger. In many ways, I think social media start ups are starting to resemble Hollywood and the movie studio approach: they might make a lot of bad films, but if the blockbuster hits…it’s BIG. I was recently talking to a developer who had worked on a new social media app. It had taken a small team of less than ten people and they had 40,000 users. Not bad, I thought, but then I realized, they had an income grand total of zero dollars. They’d been giving away the app for free. A competing app had a slightly larger user base (also with an income of zero dollars) and had managed to attract significant VC funding and would likely win out. Then something occurred to me – Arduino’s, Rasberry Pi’s, MakerBots, and all these other gadgets – they may be open source and free to copy and build, but people are still willing to pay for the hardware anyway. In fact, where every app developer is worried about how to monetize their efforts, open source hardware developers have given away their secret sauce and they can still sell. 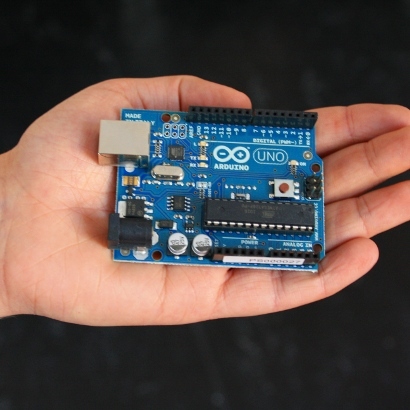 Does this mean that the Arduino foundation is headed for a billion dollar payday? Probably not. They can’t scale as well, though they have been growing and having an OSHW approach does allow them to offload some of the manufacturing if desired. It’s nice to know that people still value tangible, physical things. And that is really the reason why I became a mechanical engineer in the first place, because I like making stuff. The same week Instagram was sold for a gigabuck, Ducati was sold for a similar amount. The difference? In 10 years, Ducati will still be cool, and Instagram will be forgotten. The majority of software start ups have one strategy in mind; seek acquisition. Crank out a free app or service that attracts a lot of people and pray that you get bought out before everyone moves on to the next big thing. It’s much more difficult to get a hardware company off the ground. They require a greater amount of innovation and the end results are usually game changing products or ideas. Adding filters to photos isn’t breaking any new ground, that’s not even the product. The product is people, its access to everyone that could potentially buy something else. Hardware may sell (at some point you do need to physically interface with the world) but it is hard to start a hardware company. It takes a lot of capital to buy parts and test equipment and assemble stuff etc. Then you’re always chasing redesign because vendors change parts or quit providing them. But you’re right that hardware will always have a market because software has to run on something. You’re wrong to look at this as hardware vs software. Things like beanie babies and beyblades still make millions for comparatively as little effort as Instagram. It’s the engineers’ conceit (and I mean that in mostly a good way) that drive them to believe intelligence and complexity are the “righteous” path to wealth. though if 3d printing takes off and gets bigger and better, will people literally be able to just print out an arduino, or rasperry pi, at which point the divide wont be hardware vs software, but printable vs non printable?